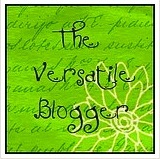 Categories: BBB (Blogging 'bout Blogging), Blatant Self Promotion and Who Knew? Just noticed this today on my blog stats. Not winning me any awards, or generating any advertising or anything, and maybe, as my husband would say, small beer, for some of you, but kind of fun to me. But, of course! And thank you for talking to us. Cool. That’s quite a lot of views, I think!